The new Sacmi high speed filling line is set to play a pivotal role on the Group’s stand at China Brew and Beverage, Asia’s most important international brew&beverage processing technology fair (Shanghai New International Expo Centre, 23-26 October 2018). As part of a comprehensive range of complete filling solutions offering high productivity, flexibility and outstanding process quality, the filling line Sacmi intends to exhibit (hall W2, booth n° 2Y337, 154 m2) has been configured for output rates of up to 72,000 bottles/hour. From a versatility standpoint, note Sacmi’s capacity to broaden the scope of its filling solutions from beverage-only to any food product (from dairy to soya-based products, widespread on Asian markets), thus ensuring customer needs are met in full. Sacmi takes a similar approach on the form-fill-seal front: developed by Benco Pack, a Sacmi Group company with over 50 years’ experience in the sector, Sacmi FFS horizontal packaging machines come in a wide range of configurations, in aseptic and non-aseptic versions (with output rates from 6,000 to 100,000 containers/hour for 10 – 250 ml bottles), including the latest, recently presented smart solution for dairy product packaging. 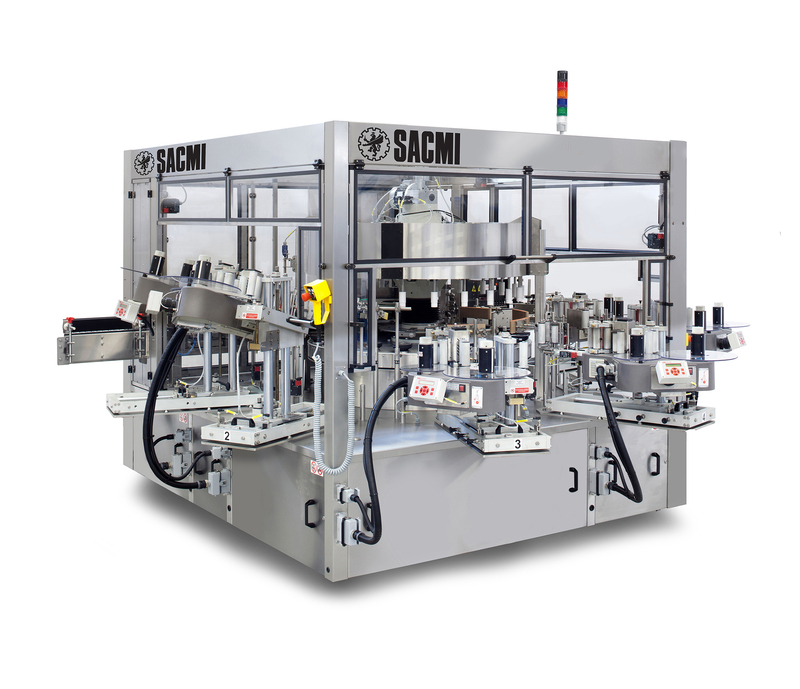 Moreover, this packaging machine can incorporate the Sacmi shrink sleeve applicator, also in a multi-pack configuration (Sacmi’s patented ISA – integrated sleeve applicator – system). This gives final products added value, and gives customers new opportunities for individual brand enhancement. A specialised consultant when it comes to making personalised, uniquely designed containers and cap-bottle systems, Sacmi Closures&Containers has invested heavily in developing new lightweight configurations capable of minimising weight without compromising performance. Thanks to compression technology (CCM) and extensive preform-making expertise acquired with the IPS platform, Sacmi’s technological leadership is undisputed. In parallel, Sacmi has succeeded in transferring the benefits of compression to container production (CBF), with manufacturers enjoying advantages in terms of the best versatility, precision and economy on the market. Sacmi’s ability to provide effective answers at every stage of food&beverage production sets it aside from its competitors. Hence the smooth integration of upstream cap and preform production with the downstream bottling process (blowing, filling, closing, labelling), the new Sacmi HeroLine configuration that reduces consumption and boosts production and logistics efficiency. Our labelling solutions are of particular significance to the Chinese market. Indeed, our sales and manufacturing branches have been busy there for decades; it’s in China that Sacmi produces and develops the popular ARENA RF – the roll-fed labelling machine specifically designed for the needs of the Chinese market – which will be on show again at the fair after winning over major new customers on the internal market. The presented model, the ARENA 300RF 24T 2/4/265 S1/E1, is characterised by outstanding productivity, up to 48,000 labelled containers/hour. Sacmi’s excellence in goods and services is unparalleled. Customers can also count on our far-reaching Global Network – with its efficient spare parts, consultancy and assistance services – and new Industry 4.0-related machine features that ensure a specialised technician from the parent company is always on hand; what’s more, customers can also implement innovative monitoring and diagnostics functions. Note also that beverage customers can, right from the design stage, make full use of the Sacmi R&D lab consultancy service, certified by the industry’s international players.